Client Focus is an opportunity to introduce our willpower community to each other and encourage and inspire each and everyone of you in our community. 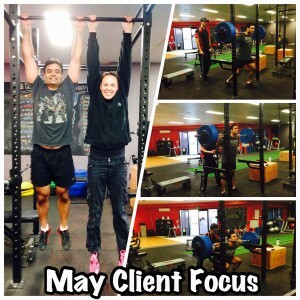 Showing our wide range of clients and their varying goals and reasons for training. It’s important to know that we are all different and our fitness and health goals and therefore journeys are all unique. We endeavour to support all our clients in their personal goals through encouragement, knowledge and empowering them to succeed and thrive in their daily lives. Clyde has been with the willpower team for 12 months come the end of this month. Clyde trains 3 x a week at willpower with Will and Kellie as his principle trainers who coordinate his training to ensure Clyde gets maximum results. Squat 20kg to now 107.5kg for 8 reps.
Well done Clyde, keep up the fantastic work!! !